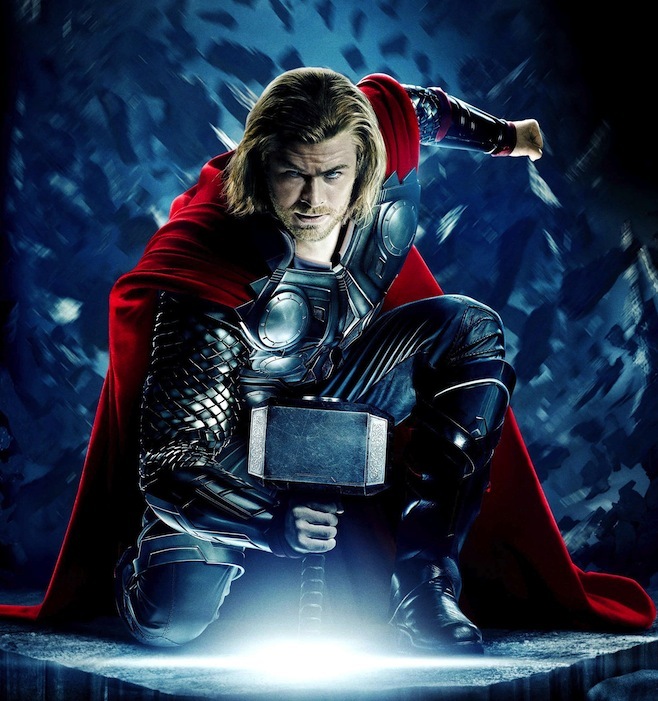 Today is Chris Hemsworth’s birthday, the actor best known for bringing Thor to the big screen. As a gal who doesn’t read comics generally, I walked into the whole Thor movie with little expectation other than the fact I love superhero movies and Norse mythology. I ended up a big fan of the movie anyway, even if I did think the whole Natalie Portman romance thing was weaksauce. Some things you might not know about this lady’s favorite Avenger? He’s Australian. His younger brother is Gale. He also portrayed George Kirk in the Star Trek reboot. He was also in Joss Whedon’s The Cabin in the Woods and was the huntsman in Snow White and the Huntsman . That’s some pretty geeky pedigree right there! Coming up we’ll get to see him in the Thor sequel as well as the Red Dawn reboot. Ah, geeky dream dudes. Either way, join us in wishing him a very happy birthday. Let’s just hope Loki isn’t around to mess everything up.